By Matt Reimann. May 4, 2017. 9:00 AM. Lovers of Jane Austen are lucky. Few other authors have left behind a greater wealth of juvenalia. 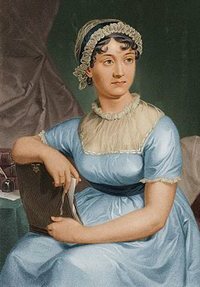 From the ages of 11 to 18, Austen filled three notebooks with stories, parodies, mini-plays, and more, all displaying the shrewd wit and intelligence that would later blossom into genius. 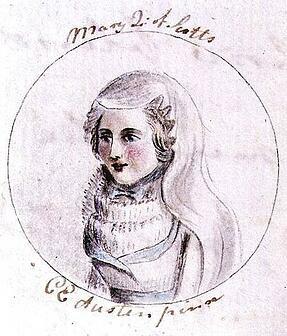 Among the shining examples of her earliest work is a short, satirical piece titled The History of England, written when the author was only 15 years old. Daphne: My dear Mrs Humbug, how d'ye do? Oh! Fanny, t'is all over. Mrs Humbug: I'm very sorry to hear it. Daphne: Oh! that's all settled. Like a great satirist, Austen balances the ambivalent feelings of care for her subject and disappointment in how it is often treated. Each one of her royal portraits, spanning from Henry IV to Charles I (years 1367–1649), betrays an attuned knowledge of England’s rulers, their legacies, and their associates. Jane Austen’s early work was not released during her lifetime. Instead, it was passed down three generations from Cassandra Austen. A descendant allowed the notebooks to be published in 1922. Just over 50 years later, it was sold to the British Library, which provides a digital version of the illustrated manuscript online. It is worth taking a look at and reading, as a true document of a creative spirit that seized on the earliest opportunity to show itself.